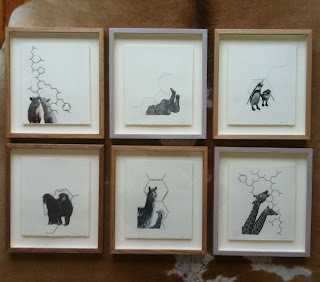 All of the small works for the show are framed! 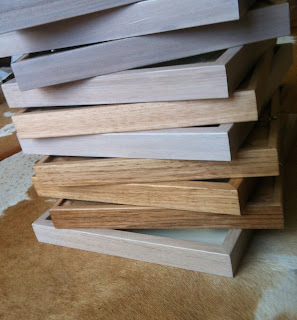 I decided to float all of the works in box Tasie Oak box frames: limed, clear waxed, pine waxed, oak waxed and it's not that I'm indecisive but I was more concerned with each frame being perfect for the work than all of the frames being the same. Exhibition opens August 8th, 4:30pm.